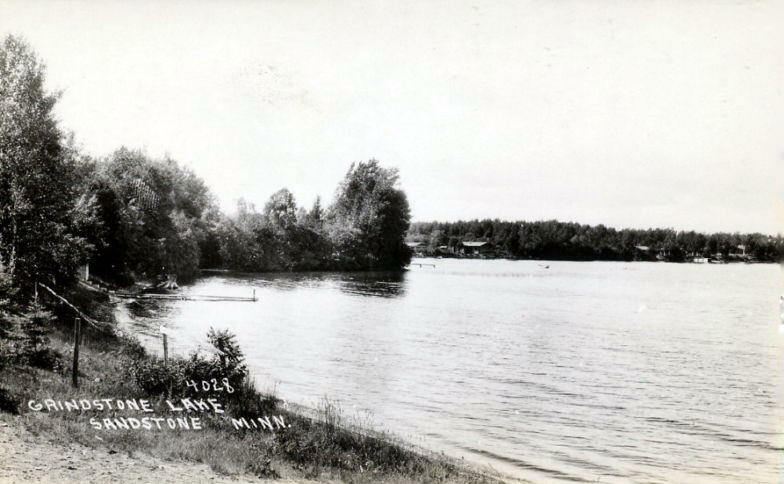 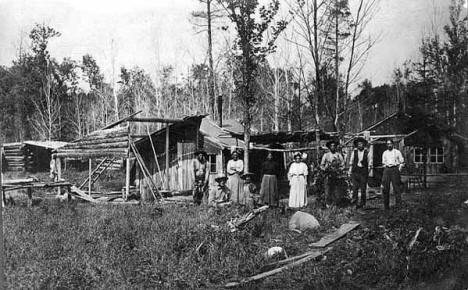 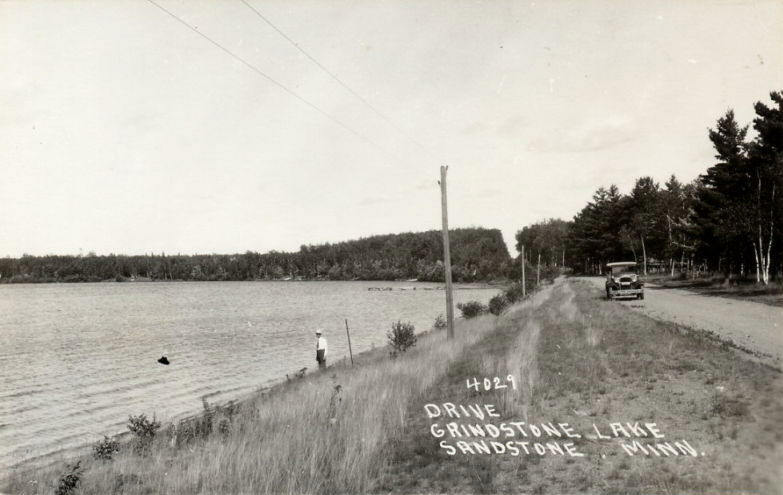 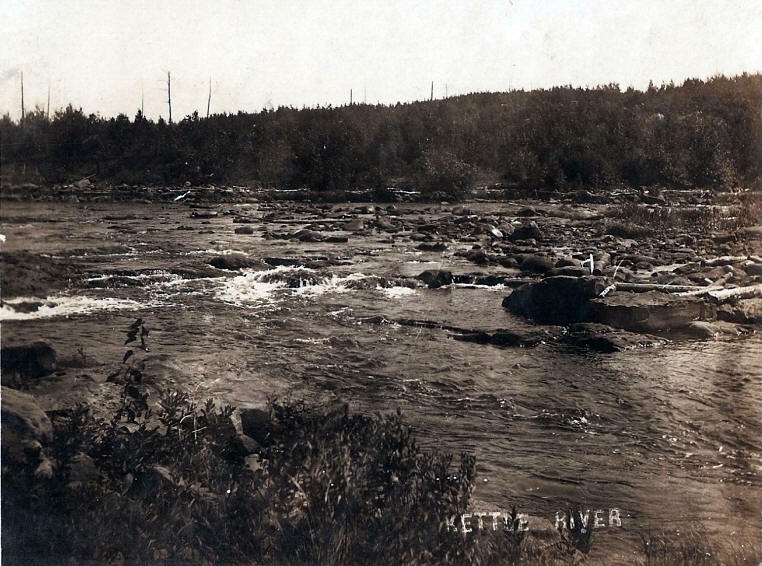 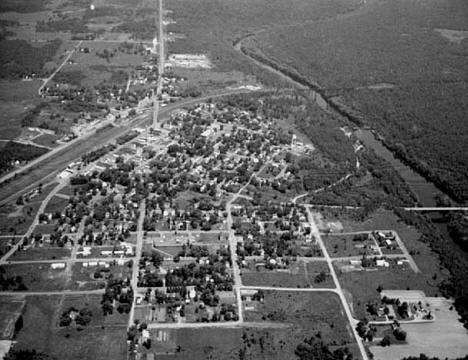 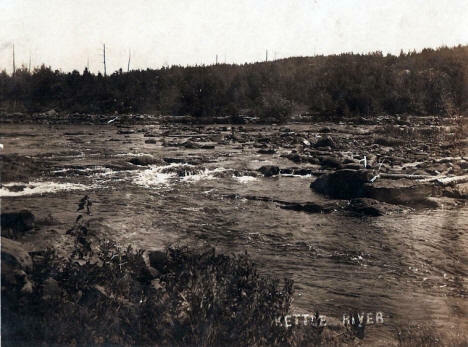 Kettle River at Sandstone Minnesota, 1910's? 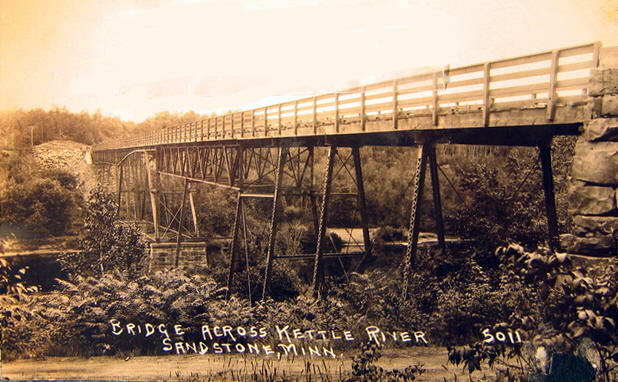 Bridge across the Kettle River, Sandstone Minnesota, 1910's? 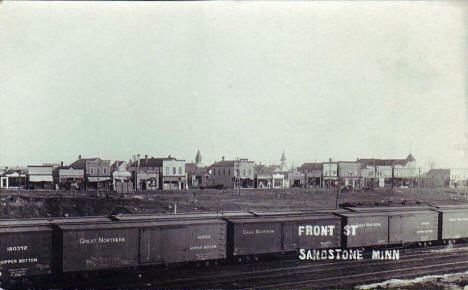 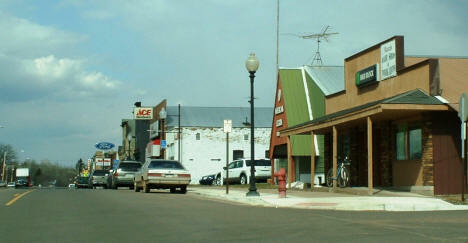 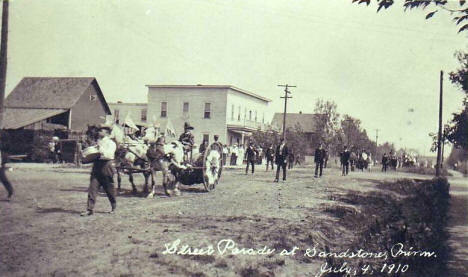 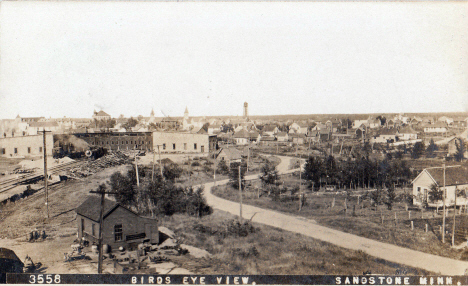 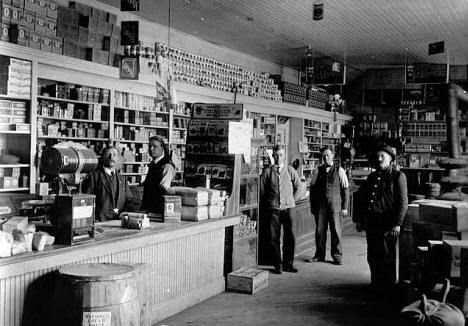 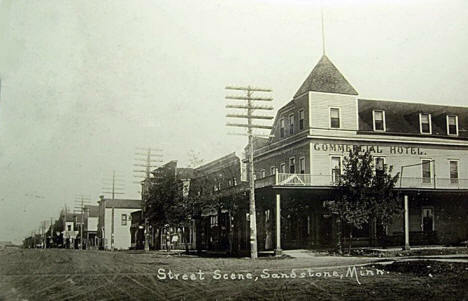 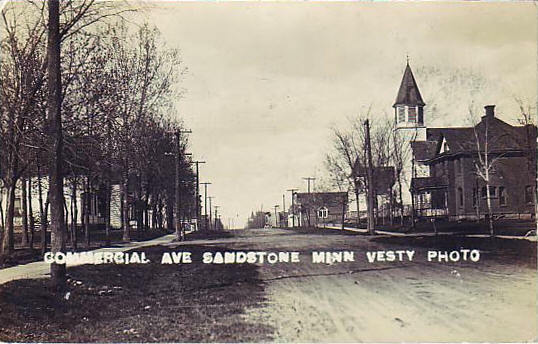 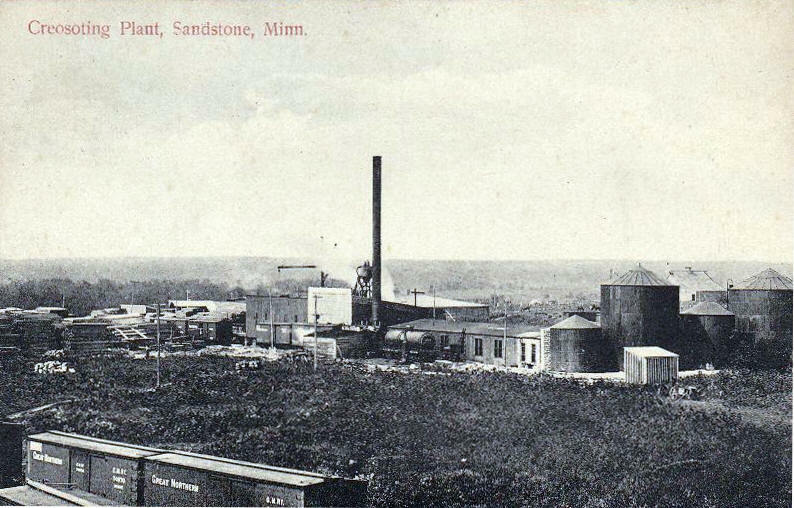 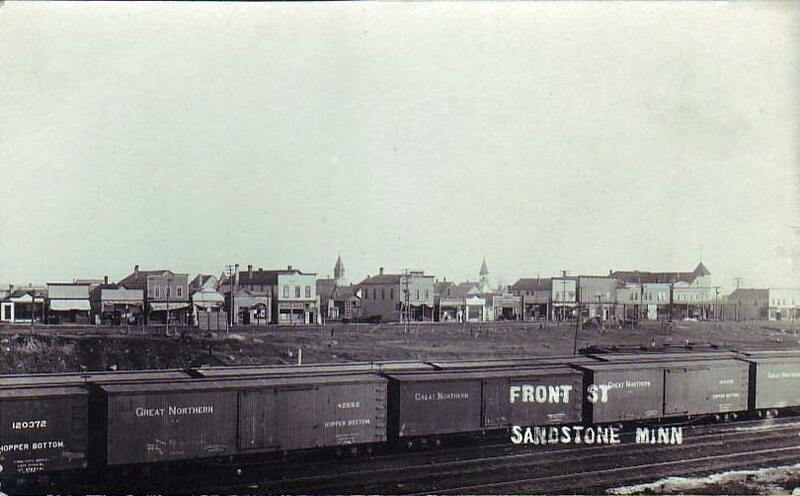 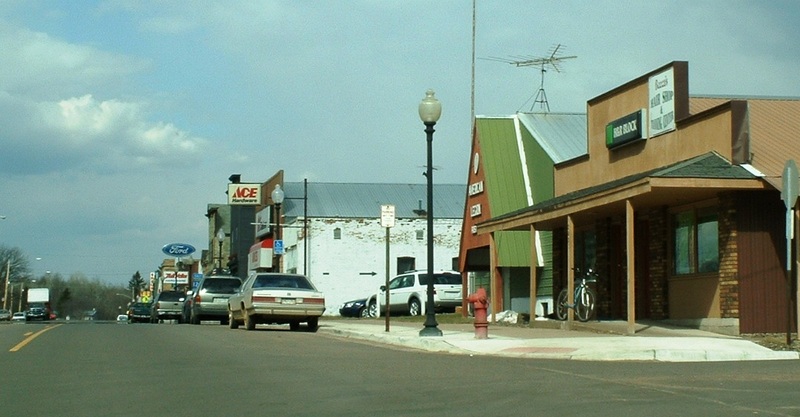 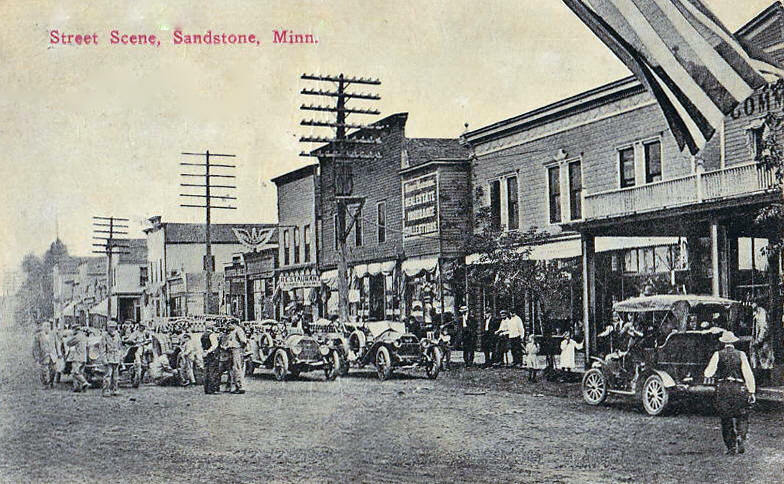 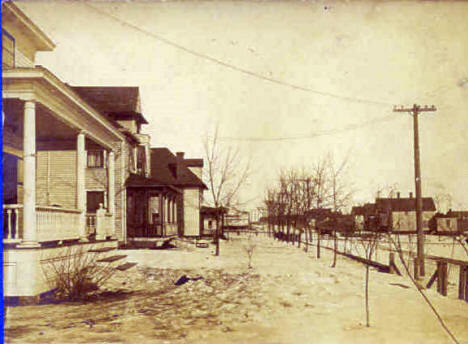 Commercial Avenue, Sandstone Minnesota, 1910's? 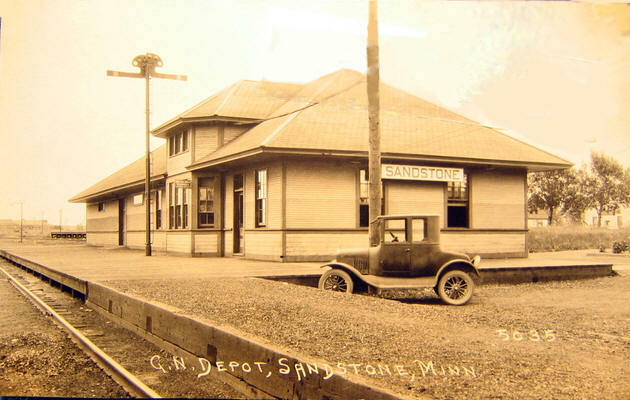 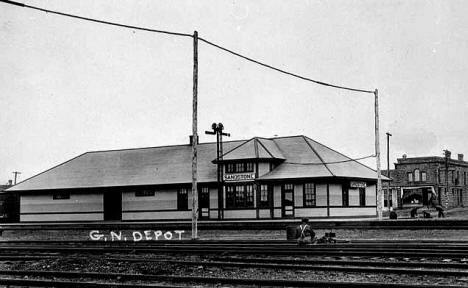 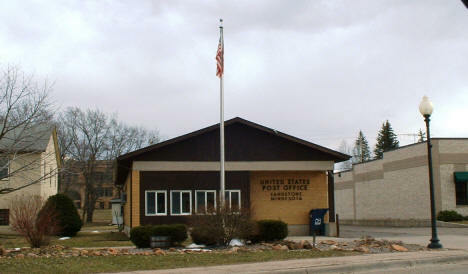 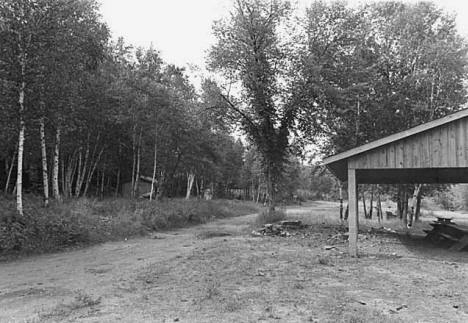 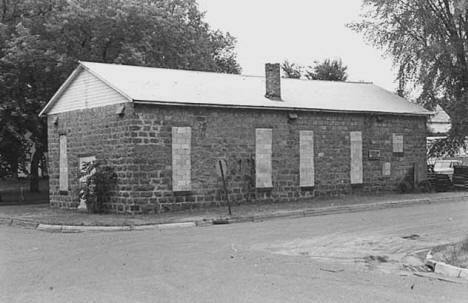 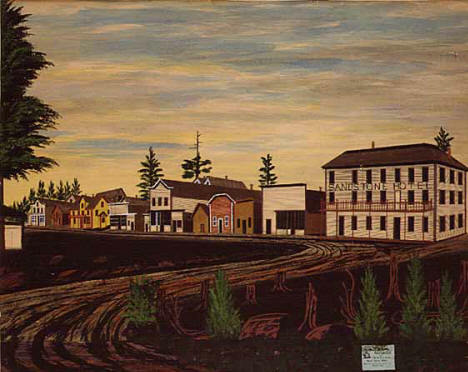 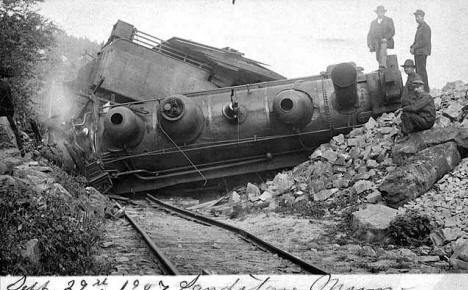 Great Northern Depot, Sandstone Minnesota, 1920's? 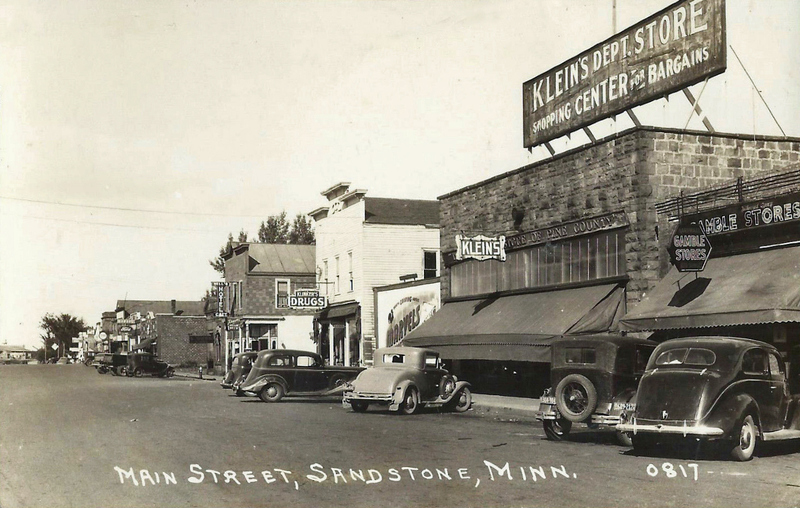 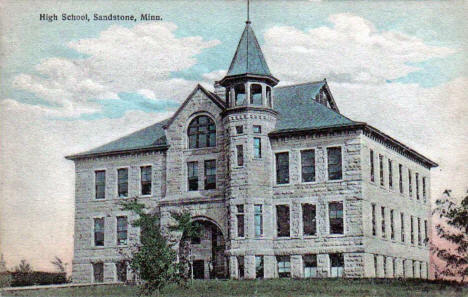 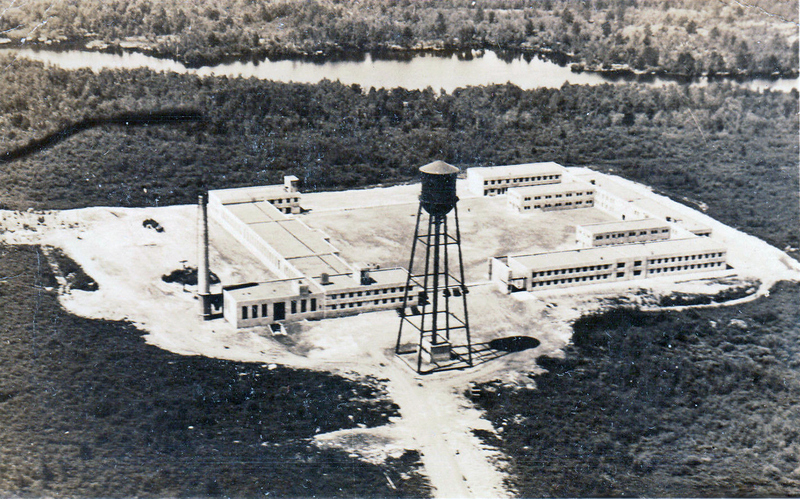 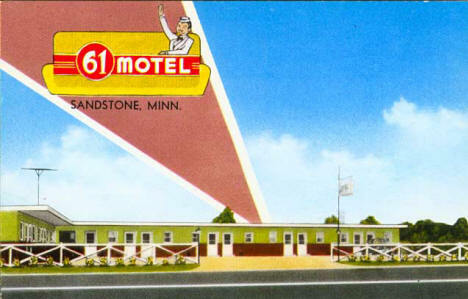 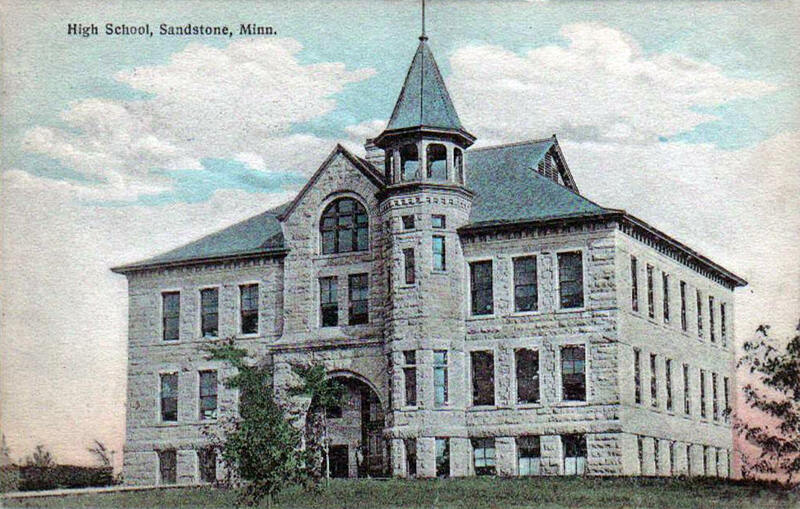 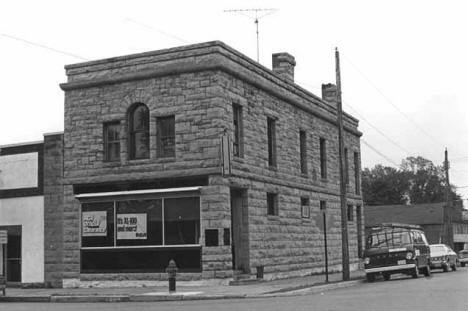 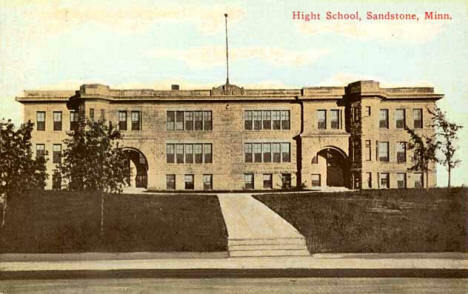 Masonic Temple, Sandstone Minnesota, 1930's?